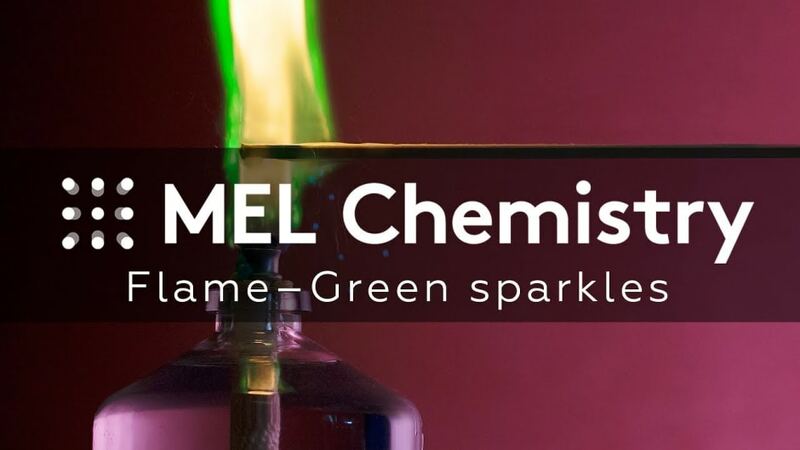 Copper ions turn a flame green! 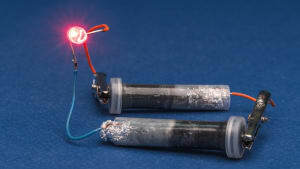 This experiment is included into "Flame" kit along with "Burning magnesium" and "Rocket fuel". Subscribe and get everything you need to do this experiments at home. Why do I have to dip the wooden stick in water? Good question! After you get the pieces of copper sulfate on the stick, you coat them with another layer of paraffin to make sure they stay there. 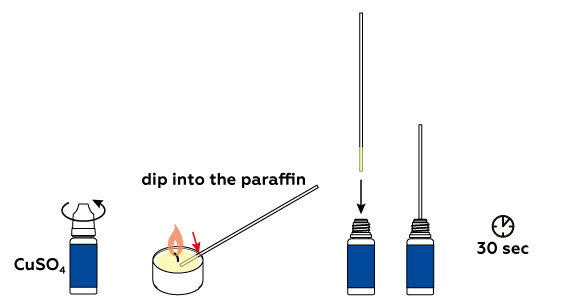 Then, you quickly dip the same end of the stick in the beaker of water to help the paraffin cool and acquire the needed consistency. Don’t worry! You can't always get things right on the first try. Try the experiment again. The copper sulfate CuSO4 crystals will stick to the paraffin. Add another layer of paraffin to help the crystals stick better. Use water to cool the outer layer. Have you ever wondered how fireworks are made to sparkle with all sorts of colors, like green, red, or pink? The experiment you just performed might give you some valuable clues. Of course, you can't simply "paint" a flame with a colored substance: black coal, brown wood, and white paper all burn with the same yellowish flame. 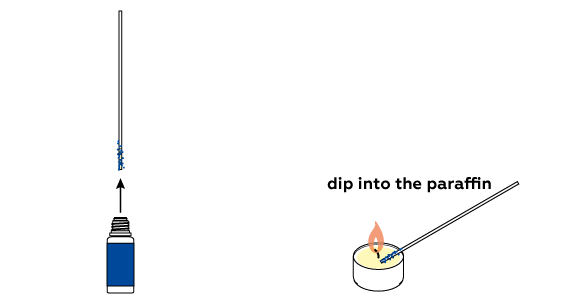 Even in this experiment, your blue copper sulfate CuSO4 tinted the flames green, not blue. However, there's certainly something to this CuSO4 compound that made the flame green—and this "something" is its copper Cu2+ component. 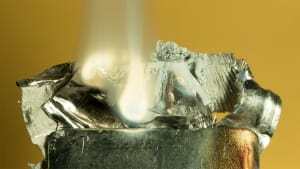 As it turns out, metal ions such as copper ions Cu2+ can emit light of a certain color when heated to high temperatures. Copper emits green , while rubidium Rb creates red , and sodium Na (which is present in table salt NaCl) creates yellow , and so on. 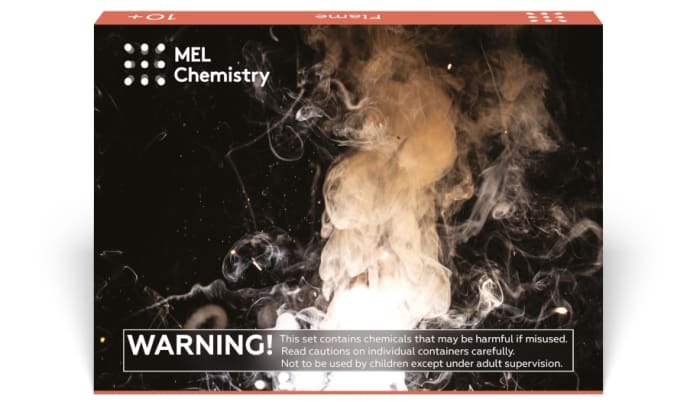 In addition to entertaining others with colorful fireworks, chemists use this property of metals to detect which metal is present in a sample by carefully examining the color of the flame using special tools. In fact, every element in the periodic table has a characteristic "light fingerprint" that is visible under certain conditions. One chemical element was cunning enough to evade chemists' attention on Earth, but couldn't hide its "light fingerprint" in the light of the Sun. Nowadays, this element often attends parties in a balloon costume, and its name is Helium He. 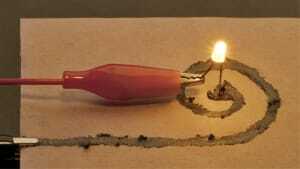 For many years chemists extensively use the capability of some elements to tint a flame in certain colors. 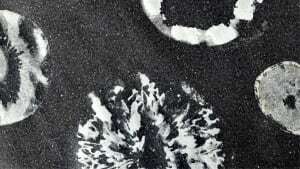 Originally, this property was employed to detect these elements in various compounds composition. Back then, researchers evaluated a color and its intensity by eye. Thanks to progress in modern science, this technique developed into photocolorimetry, a method for precise color characterization. Beyond qualitative analysis, special equipment allows for quantitative characterization of substance composition elements by a flame color. Such data is of great interest to ecologists, geologists, and of course chemists. 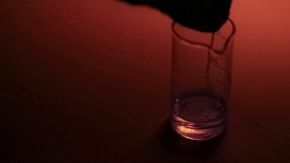 Unfortunately, this technique only works for certain chemical elements, thus many of them do not tint a flame—not only in visible, but even in ultra-violet spectrum range.